Despite attempt on his life, that resulted in a cold blood murder of his wife and infant son, Hamas’ top military commander is actively renewing group’s rocket stockpiles and rebuilding strategic tunnels. Nine months after Israel locked horns with Hamas in Gaza for over 50 days, it is clear that not only did Mohammed Deif, Hamas’ military commander, survive the Israeli the Hamas is once again ready for battle. The shake-up in the Saudi kingdom found its way into Western analysis. At the age of 79, King Salman may not expect his reign to be lengthy – which is one reason for imposing his will and establishing a clear, undisputed succession early on. The changes mark the first time that power has passed beyond the control the numerous sons of Abdulaziz, who died in 1953. 55-year-old Bin Nayef’s elevation is likely to be welcomed in conservative and establishment circles at home and abroad. 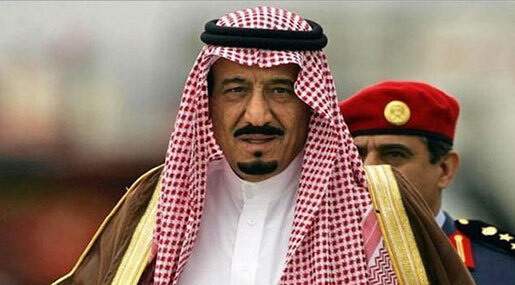 Bin Nayef will continue as the interior minister in charge of Saudi Arabia’s 200,000-strong security forces. Not coincidentally, Salman announced on Wednesday a one-month salary bonus for all military and police personnel. Yet bin Nayef, is no reformer. Prince Mohammed, who continues as the defence minister, is more of an unknown quantity. Saudi Arabia’s unusual display of energy and leadership in assembling a military coalition to fight in Yemen may reflect his influence. On the other hand, the bombing campaign has yet to achieve its objectives and has been widely criticized for inflaming regional tensions and causing many avoidable civilian deaths. rapprochement with Tehran, to plunging oil revenues and the thwarted aspirations of younger Saudis, in a country where 60% of the population is 21 or younger. Blocking private Saudi financial and other support for extremists such as Isis is another unfinished task for Bin Nayef. Even more troubling for Riyadh’s real-life answer to Lord Tywin Lannister is the apparent return of terrorism to Saudi soil. Did Saudi Pressure Cause NYT to Change Its ’Negative’ Headline? Filed under: Al Qaeda, AngloZionist Empire, Arab Zionists, ISIL, Saudia, US Foreign Policy, USA, War on Yemen, Wars for Israel, Yemen |	Comments Off on What’s Behind KSA’s Shakeup? Two Israeli policemen have been suspended after video footage emerged on Monday showing them pummeling an Ethiopian-born IDF soldier, Damas Pakada, who alleged he was the target of a racist attack. The incident took place in Holon, south of Tel Aviv, on Sunday evening, where police were cordoning off a street due to a suspicious object. “I feel terrible, and humiliated. This is a disgrace to the State of Israel,” Pakada told Channel 2 Monday. “It’s because of [my] skin color,” he said. Pakada told Channel 10 that he was riding his bicycle when he noticed the two officers. He said that the officer threatened to shoot him in the head, and that they only let up only after he backed away and lifted a rock. “The cop told me, ‘I’m doing my job and if I need to put a bullet in your head, I would do it. I am proud of my job,’” he told Ynet. Pakada is a 21-year-old orphan who emigrated from Ethiopia with his four siblings seven years ago. He said he couldn’t remove the blood stains from his army uniform. “It doesn’t matter if this is a soldier in uniform or a normal citizen, this is not how an officer is expected to behave,” a police source told Channel 2. “Policemen work hard to serve the public and a rare event like this will not pass in silence,” the source said. British Prime Minister David Cameron said Thursday that Israel had the right to defend itself when it launched Operation Protective Edge against Gaza in the summer of 2014. “What I’ve seen is the attacks that take place on Israel and the indiscriminate nature of them… that reinforces to me the importance of standing by Israel and Israel’s right to defend itself,” Cameron said in an interview with the Jewish Chronicle. The interview was published exactly a week before the U.K. general election on May 7, 2015. Operation Protective Edge killed 2,220 people, according to the UN Office for the Coordination of Humanitarian Affairs, 1,492 of whom were civilians. “Obviously we regret the loss of life wherever it takes place, but I do think there’s an important difference – as Prime Minister Netanyahu put it: Israel uses its weapons to defend its people and Hamas uses its people to defend its weapons,” he said. Cameron has previously described himself as a “staunch supporter of Israel” and in 2014 became only the second British premier ever to address the Israeli Knesset. Nearly thirty years ago, in the fall of 1986, Mordechai Vanunu, a low-level technician at Israel’s Dimona nuclear reactor, left Israel for a trip to the Far East. He settled in Australia, converted to Christianity, and sometime in August that year began to talk with Peter Hounam, a London Sunday Times reporter, about what he saw at Dimona. He spent eighteen years in jail, eleven of these years in solitary confinement, and was released, under severe restrictions, in 2004. Last Thursday he was detained in Jerusalem for violating one of his release conditions: he talked with two foreigners, that is, non-Israelis, for more than half-an-hour. Nearly thirty years ago, in the fall of 1986, Mordechai Vanunu, a low-level technician at Israel’s Dimona nuclear reactor, left Israel for a trip to the Far East. He settled in Australia, converted to Christianity, and sometime in August that year began to talk with Peter Hounam, a London Sunday Times reporter, about what he saw at Dimona. Looks like the sanctions aren’t working. Indeed, like the Russian sanctions, they have causes far more damage to American businesses than to the Iranian ones! Iran has for the first time in a decade been able to export seven million barrels of oil in one day from a southern terminal, said an official on Tuesday. The historic event took place following the concurrent activation of eight docks at Kharg terminal on April 15. Managing Director of Iranian Oil Terminals Company (IOTC) Pirouz Mousavi said the previous record was six million barrels in a day. “This was achieved despite the skepticism expressed by many countries about Iran’s ability to handle major volumes of oil export,” Mousavi said, according to IRNA. He further said the increased export capability has now materialized as a result of renovating the infrastructure at Kharg terminal. Earlier in February, Mousavi said that a one-year project to overhaul Kharg facilities had increased the terminal’s export capacity. The project, he said, had cost millions of dollars. Kharg terminal is located on the Persian Gulf island of Kharg. It is the main loading point for Iran’s crude oil exports. The terminal had an offloading capacity of 14 million barrels per day (bpd) prior to the 1980-88 Iraqi imposed war on Iran. It was the target of frequent attacks by the Iraqi forces during the war which drastically reduced its export capacity. Following a series of post-war reconstruction projects, the offloading capacity of Kharg reached around six million bpd in 2007. The cousins were tending to their flock in the small piece of field, near the shared illegal settler/occupied Palestinian road they are relegated too per their occupiers, around 7am when Islam got too close to the road. 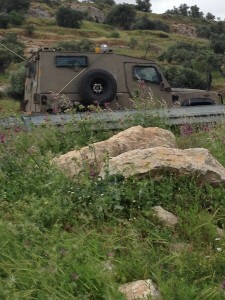 The road is off limits to Palestinians who are not in vehicles, thus as they work to limit the area their sheep are covering, if they get too close to the road, occupation forces in jeeps drive up within moments of spotting them from the Israeli watchtower just several dozen meters away. On this morning, when the jeeps pulled up, Islam was thrown to the ground and beaten by soldiers as his cousin yelled for them to stop. “Because I yelled that he was my cousin and to leave him alone, they arrested me too,” Adnan Eshtayah, 34 tells IWPS volunteers. They threw multiple stun grenades, crowd control weaponry commonly used by IOF – which creates deafening blasts and smoke, at Islam’s flock of sheep injuring several of them. The pair were handcuffed and blindfolded before being driven into Elon Moreh where they were left on the ground in the sun outside the police station with no food or water for 12 hours. Antagonism being one of the most prolifically utilized weapons in the Israeli occupation arsenal; the men were then driven away from the nearby village they were kidnapped from and taken to the Huwara checkpoint several kilometers away, on the Israeli side, and left there after begging to be taken back to their homes. 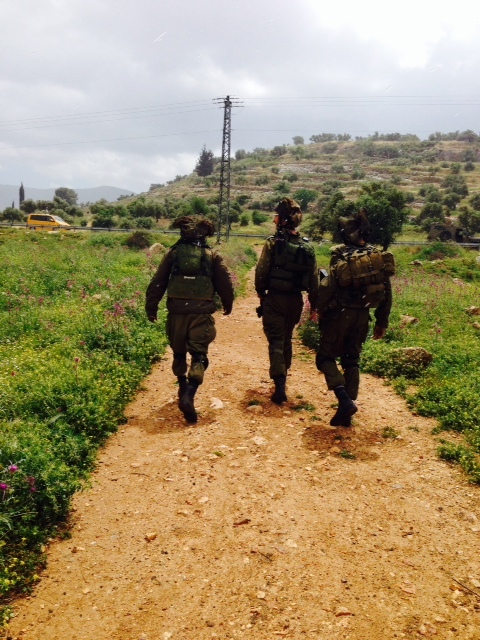 After walking nearly half the distance, they were picked up by a Palestinian who drove them back to their village. 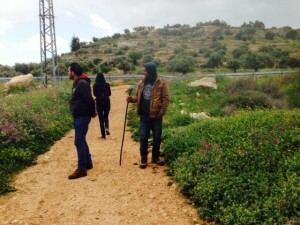 A third farmer, Isladeen, 30, has a similar story from just a week earlier; he was beaten, handcuffed and blindfolded and when released from the police station, he was driven several kilometers away into a settlement where Israeli soldiers left him handcuffed and blindfolded. “I was stuck in the settlement for eight hours unable to see where I was or how to get home before someone found me near the main road and helped me.” Another issue stemming from these deplorable arrests are that the shepherds’ sheep are left alone to wander after their guardians are taken and in these particular instances, they got into another farmer’s land and grazed which created problems as the farm land they are restricted to is already so limited. Isladeen then takes us near the road where he was assaulted and within less than three minutes, an Israeli military jeep pulls up and three aggressive soldiers emerge and surround him, telling him to come with them. IWPS volunteers stepped in and argued with the soldiers who stated they were following orders and berated volunteers saying they ‘weren’t human.’ After ten minutes, the soldiers returned to their jeep, no arrestees and sat for several minutes before driving away. At Islam’s family home, IWPS volunteers are invited in and served tea and bread as his father recounts instances of Israeli soldier’s abusing him and his son. “It didn’t use to be like this. They would just tell us to leave. 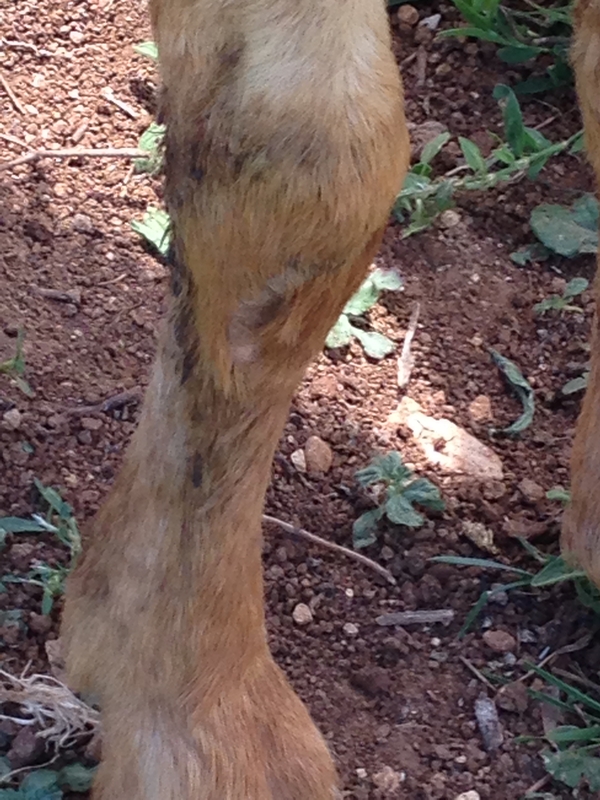 Now they beat and arrest us and throw sound bombs on our sheep.” These scenes of senseless violence and animal cruelty are now a commonality in the Salem village, population 8,000. So are home demolitions. Young Palestinian activist Mohammad Eshtayah, 26, brings IWPS volunteers through the village of Salem, situated between rolling hills and illegal settlement blocs- including a settler theme park which overlooks the embattled town where bullet holes are visible in the outside walls of homes and where some streets hold the memories of young Palestinians shot to death by occupation forces during the Intifadas. Mohammad’s uncle, a taxi driver, was shot to death by Israeli soldiers on the road where the shepherds were arrested as he crossed to bring an elderly woman he had just driven a bag that she had left in the backseat of the car. His second cousin, was killed after being shot 12 times by Israeli soldiers in July of 2002. His grandfather, the former mayor of Salem, was murdered inside of a shop he owned in Nablus by Israeli soldiers during the first Intifada after he openly opposed an illegal settler road project that would come to fruition just several years after his killing. The village of Salem holds many tragedies. Along with the kidnappings and violence against the heavily restricted farmers and shepherds- and the senseless cruelties against their flocks, residents of Salem face other routine instances of antagonism including home demolitions and standing demolition orders, crumbling ancient homes that they are forbidden to repair in the slightest of ways without impossibly expensive permits that are routinely and arbitrarily denied and having their trees uprooted by the hundreds. In one case, a Palestinian family in an ancient home suffered the collapse of part of their house during a period of inclement weather. 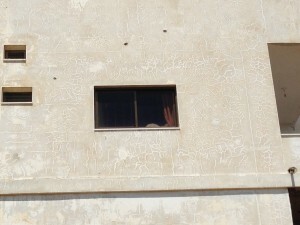 The family was subsequently rounded upand taken in for interrogation until they had satisfied Israeli occupation forces sufficiently enough that the damage to their home wasn’t purposeful for repair and was instead due to heavy rains. The crumbling homes are often visited by occupation forces who inspect the premises to ensure no repairs are taking place before leaving. The ones whose rightful Palestinian owners go unoccupied for three years get automatically seized by the Israeli government. The ones with standing demolition orders are frequent targets for raids and middle of the night ‘census’ visits where sleeping families are awakened and gathered in one room so they can be ‘counted’ and their rooms photographed. This is the face of the Israeli occupation of Palestine as it plays out in the small village of Salem just northeast of Nablus. The face of the resistance in Salem is inspiring despite their suffering; whether its expressed by the villagers pulling together to donate sheep to a Salem shepherd who has had 100 of them stolen in the night by an illegal settler, or by Mohammad and other Palestinian activists replanting trees in the wake of the uprootings; Salem continues the struggle against Israeli occupation, antagonism and violence.